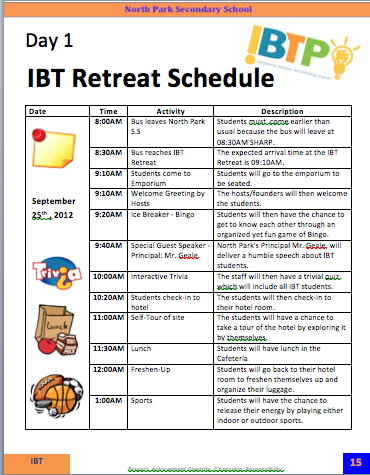 In this section, it is the schedule of activities and the significance of each activity that is taking place at the IBT Retreat. 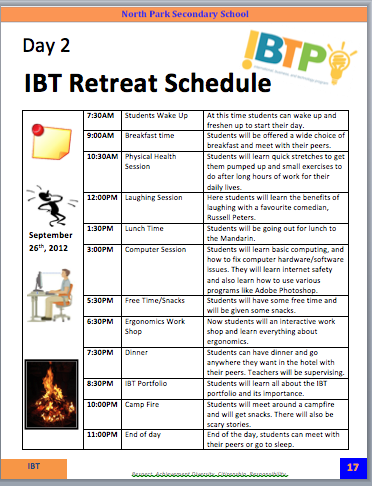 This section has the specific timings of each activity. 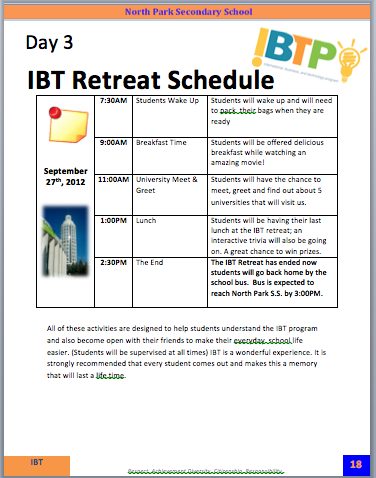 It also tells the student and parent what the student is going to do, and why it is beneficial for their learning and how it helps them in the International Business and Technology program. 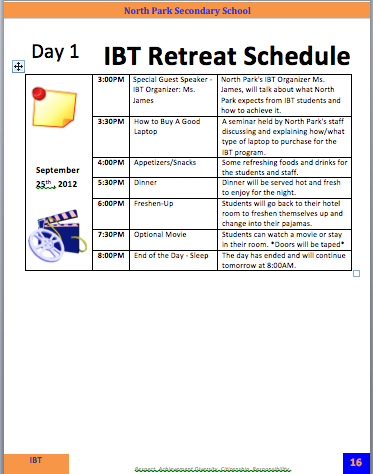 This is also the student’s itinerary for this overnight IBT retreat. This is what their entire trip is based on.